Professor Kunal Sen has over three decades of experience in academic and applied development economics research. He is the author of eight books and the editor of five volumes on the economics and political economy of development. From 2019 he is the Director of UNU-WIDER, and he is a professor of development economics at the Global Development Institute, University of Manchester. Professor Sen is a leading international expert on the political economy of growth and development. He has performed extensive research on international finance, the political economy determinants of inclusive growth, the dynamics of poverty, social exclusion, female labour force participation, and the informal sector in developing economies. His research has focused on India, East Asia, and sub-Saharan Africa. Professor Sen’s books include The Political Economy of India’s Growth Episodes (2016), The Process of Financial Liberalization in India (1997), and the Economic Restructuring in East Asia and India: Perspectives on Policy Reform (1995). His is a co-editor of Deals and Development: The Political Dynamics of Growth Episodes (2018) and The Politics of Inclusive Development (2016). And has also written twenty-five chapters in other volumes and published more than ninety peer-reviewed journal articles on topics in his field. 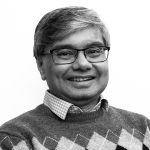 In addition to his work as a professor of development economics, Kunal Sen has been the Joint Research Director of the Effective States and Inclusive Development (ESID) research centre, and a Research Fellow at the Institute for Labor Economics in Bonn. He has also served in advisory roles with national governments and bilateral and multilateral development agencies, including the UK’s Department for International Development (DFID), Asian Development Bank (ADB), and the International Development Research Centre (IDRC). He has been awarded the Sanjaya Lall Prize in 2006 and Dudley Seers Prize in 2003 for his publications.